Of all the places in the water, trout love to lie around or under rocks, especially when the water is medium to fast moving. While the theory for many years was that a trout would hide behind rocks, new evidence shows that trout also lie in front or and to the side of rocks. 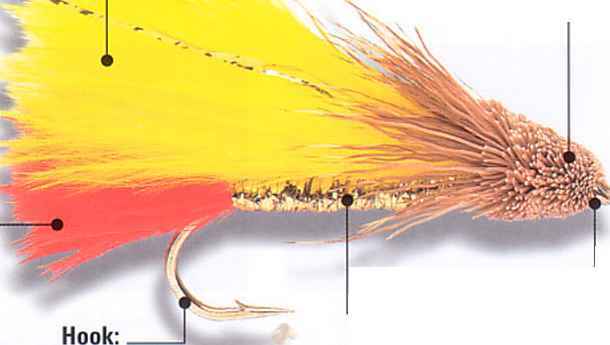 By doing this, trout have a much better view of prey floating downward with the current. This position makes the prey less distorted and clearer than what the trout would see if lying behind the rock. Typically, in medium flowing water, trout will position itself just behind a rock so it is pointing its body downstream at the position of there the water will converge around the rock. This helps the trout focus much better on any prey on the water's surface. By being in this position, the viewing range is also increased, which gives the trout a better selection of food. If fishing for Cutthroat Trout, keep in mind that they will always choose to lie behind rocks whereas other species such as Brook, Brown, or Rainbow Trout will vary their position.